By the time Herbert Y. Cartwright, Jr., and I were sitting in Vivian Serio Renfrow's daddy's place, The Tap Room and Grill, eating compted corned beef sandwiches, he had to have weighed-in at 300 pounds. Vincent Serio couldn't stand the thought that there may be people in his place from time to time who didn't know each other. That's why he introduced Mr. Herbie and me, and why he put us together at the table in the back. The Tap Room and Grill was a narrow deli on the 23rd Street side of the Maceos' Turf Athletic Club building. It was dark inside with the air conditioning and lazy ceiling fans stirring the pungent but somehow sweet blended smells of spiced meats, cheeses from everywhere, and tap beer. Mr. Vincent was so pleased with himself that he had introduced Mr. Herbie and me, that he said our lunch was on the house. Mr. Herbie was 47, and I was 22. Mr. Vincent was older than both of us. Mr. Herbie was the legendary Galveston mayor. I worked at the bank. Mr. Herbie came from Georgia when his family moved here to be in the steamship business. He was three. He went to Galveston schools, got a degree in business from the University of Texas, then came home to go into the real estate and casualty insurance business. A few years later, when prominent businessman George Fraser was mayor, his ways of running the city started getting under Mr. Herbie's skin. Mr. Herbie had a worn out car that he sold for about $250. With that as his treasury and a personal door to door campaign throughout every Galveston neighborhood, at 32, he got voters to kick-out Mayor Fraser. That was in 1947, a time when nobody would think of calling Las Vegas "Sin City." It was reserved and uncontested to be Galveston's nom de plume. And Mr. Herbie made no bones about it, he was proud that it was. When Mr. Herbie asked for your vote, he'd end with, "Thanks a million!" then throw in a big straight-toothed smile. For the same reason wags like to call the Galveston Historical Foundation the "Galveston Hysterical Foundation," because they think it's amusing, a joke that quickly became tired with a cruel and undeserved inference of peculation was calling Mr. Herbie, "Thanks for the Million Cartwright." Mayor Herbie came in with a long succession of plans. Many got him into temporary hot water. For an example, he didn't think traffic had enough room to travel Broadway, so he finessed taking out scores of oaks and oleanders and then widening the thoroughfare by a couple of lanes. One who was outraged was W.L. Moody, Jr., whose mansion, along with those of many of the other wealthy families, was on the street. But Mayor Herbie's Broadway plan was a good one. Back in those days there was constant traffic from tractor-pulled trains of steel-wheeled trailers full of cotton bails driving Broadway from the warehouses to the wharves. Before Mayor Herbie widened the street, if you got behind one of those slow trailer trains, you were in for a long and nattering trip. The next thing on his agenda was to get the wharves away from private control so that it could be governed by the city. It required raising a $2.5 million bond issue so the city could get rid of the indenture that kept private enterprise in control. Mayor Herbie got the votes he needed, but then he had to come up with a source for the $2.5 million. Mr. Moody was still smarting from what Mayor Herbie's Broadway project had done to the view from his mansion's windows. Nevertheless, he went to see Mr. Moody and sold him 100% of the new bond issue. Taking back control of the Galveston Wharves didn't cost the citizens anything. While Mayor Herbie was in office, the wharves' finances stayed in the black. 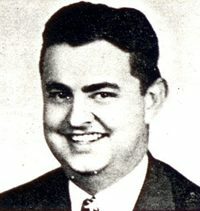 Mayor Herbie was elected for four terms, then defeated by radio station owner George Roy Clough, an opponent whose challenge was seriously under estimated. Two terms later, Mayor Herbie was reinstated by the voters. While the list of his accomplishments is awesome, like that he talked Lipton Tea Company into locating a plant in Galveston, and convinced two eastern developers to spend millions to raise the grade of Pelican Island so it could be used, and got the bridge built connecting Pelican Island to Galveston, his real forte was representing all of the people. 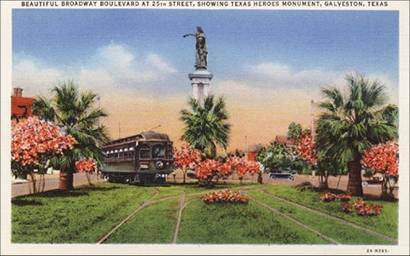 Buddy Herz's aunt Lillian, a knowledgeable observer of Galveston history, wrote, "While the friend and confidant of business and professional men... he represented the little fellow with friendliness and cordiality." One time hard-nosed jurist Judge Donald Markle threw Mayor Herbie into jail. There was an auction going on that Mayor Herbie didn't agree with. He shut it down. The operators took him to court, and Judge Markel, his life-long friend, ordered him to let the auction continue. Furious, Mayor Herbie walked out of the courtroom, and had all of the auction operators arrested and jailed. Judge Donnie ordered them released then immediately threw Mayor Herbie in jail for contempt. Galvestonians sent flowers and gifts by the hundreds to his cell. Restauranteur Mike Gaido had every meal prepared and brought to him from Gaido's kitchen, even having his cook come in early so he could prepare Mayor Herbie's breakfast. When Mayor Herbie was released, hundreds came to watch him become a free man again. That produced an impromptu hero's parade throughout the streets of downtown, the mayor riding on the trunk of a new Cadillac convertible, waving to his admirers. And wouldn't you know, Judge Donnie, on crutches because of an earlier bout with polio, was photographed on the parade's front row. I miss Mayor Herbie, I miss Mr. Vincent and his Tap Room and Grill, and I miss Judge Donnie. They were the best.